For everyone saying "new model!" or "unique model!" Personally i hope he'll being fighting. . Would like to see him in combat! For a better view, click here. His lower-body kinda reminds me of Link from Twilight Princess. He must have drunk a lot of red bull while in the emerald dream. 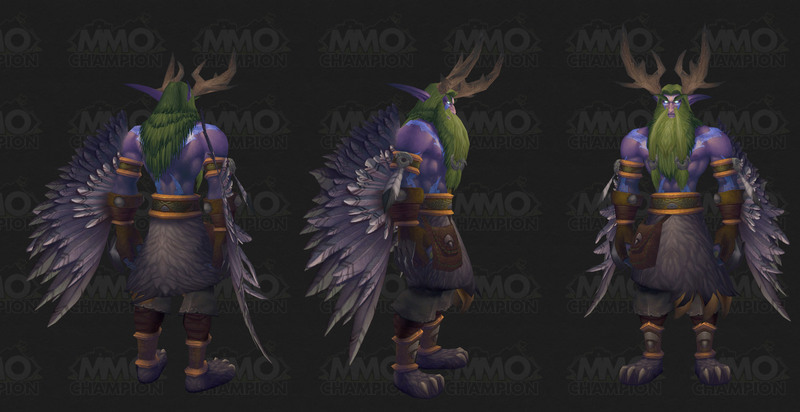 the way the model change has been done makes me think he has got more powerful, changing him physically through druidic power. really cool stuff if you're a fan of the lore. Malfurion Stormrage was the first mortal druid of all time, and initiated the mainstream use of druidism among the night elven people ten millenia ago under tutelage of the demigod Cenarius. Through Malfurion's guidance, the kaldorei managed to successfully halt the Burning Legion's first invasion of Azeroth during the War of the Ancients. In its aftermath, he became the greatest of the world's archdruids. Malfurion Stormrage is the twin brother of Illidan Stormrage, as well as the loving and beloved husband of the high priestess of Elune, Tyrande Whisperwind. Together, the two have represented the highest leadership of the night elves ever since the fall of Queen Azshara and her Highborne caste. He needs to shave, seriously. He sounds like Patrick Stewart when he says, "Hail to the Night."